TAKE ON MORE WORK. 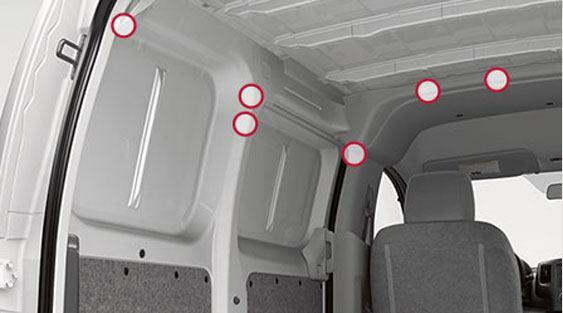 The NV200® Compact Cargo is the smart way to handle it. With loads of room and easily upfitted, it’s a capable hauler. Nimble and efficient, it’s great for tight quarters and tight budgets. 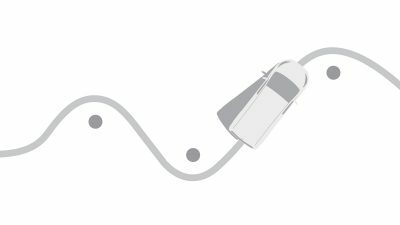 And with advanced technology along for the ride, you help minimize wasted time while maximizing driver comfort. 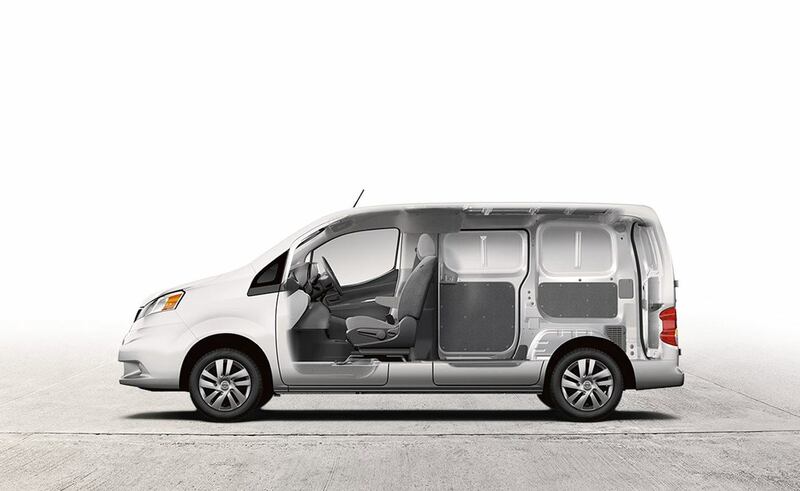 The 2019 NV200 Compact Cargo. TAKE ON TODAY. 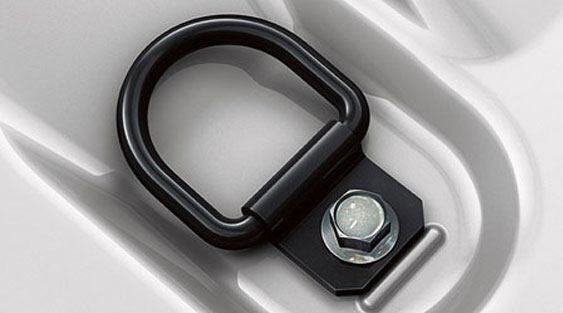 Six available floor-mounted D-rings help keep your cargo locked down. With 180° of movement, this van makes it easy to secure packages, deliveries and more. With 20 interior integrated cargo mounting points for secure upfitting of cargo racks, partitions and bins, NV200 Compact Cargo van is ready for work. 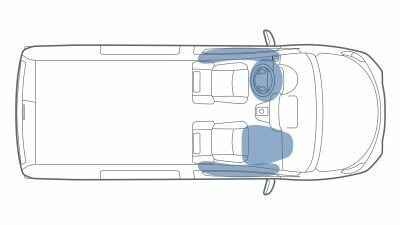 The outside's svelte, but inside the van packs a whopping 122 cubic feet of space, including flat wheel wells and a low load floor height. When it’s time to get down to business, the NV200 Compact Cargo converts easily into your mobile office. The fold-down passenger seat creates a work desk, while smart storage and power outlets are all within easy reach. Get around with the available NissanConnect® with Navigation and Mobile Apps including the advanced Nissan Navigation System featuring voice recognition for audio and navigation and real-time traffic and weather updates. 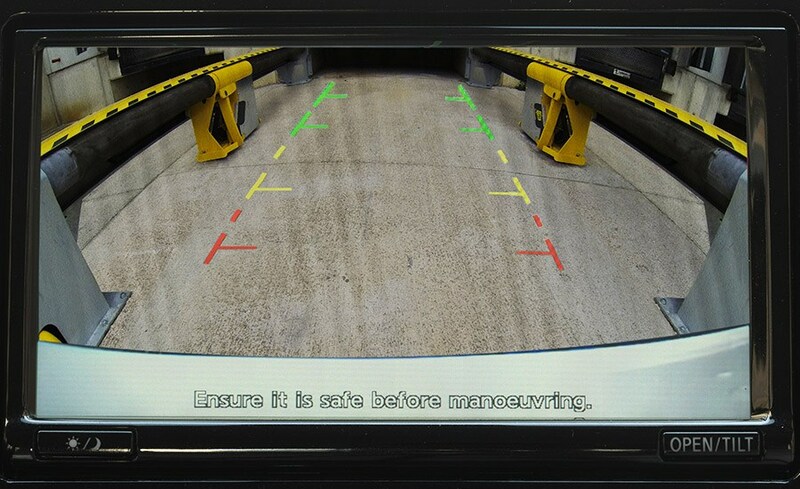 The standard RearView Monitor helps give you a clear view directly behind you, so you can get in and out of tight spots with ease. With services like weather maps and fuel pricing, SiriusXM® Travel Link helps you avoid delays and fill up with your bottom line in mind. 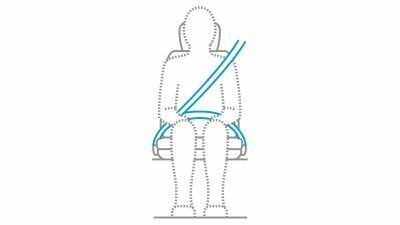 Bluetooth Hands-free Phone System makes it easy to stay connected to the road while staying in the conversation. On your way to the next job or punching out for the day, SiriusXM® Satellite Radio gets you moving in the right direction with tunes, news, sports, and more. With a 2.0-L 4-cylinder engine and efficient Xtronic CVT® transmission, you get a smooth and powerful drive while keeping a watchful eye on the bottom line. Add in responsive handling and a tight turning radius, and you’ll see why NV200® Compact Cargo is as good at maneuvering crowded streets as it is at avoiding big fuel bills. 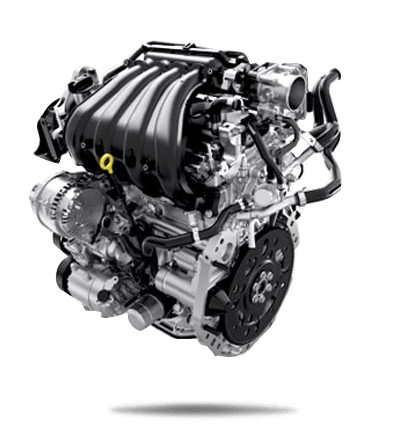 The 2.0 liter DOHC 4-cylinder engine delivers the right amount of punch and less pain at the pump. 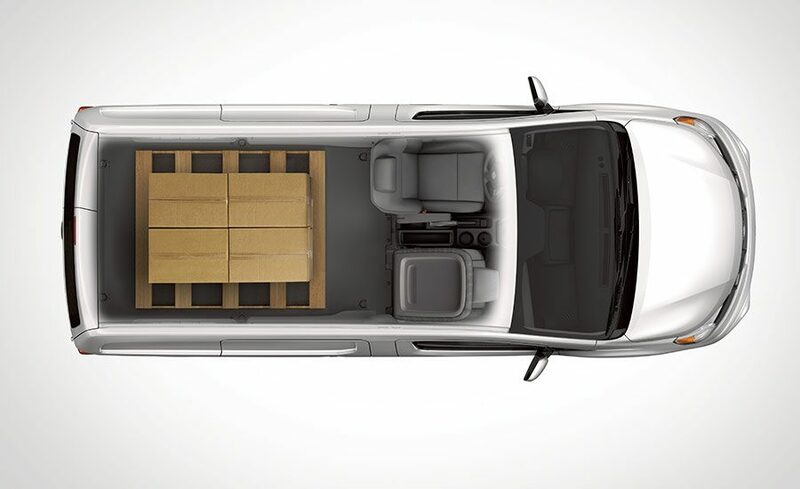 Get Your 2019 NV Compact Cargo at Midway Nissan.